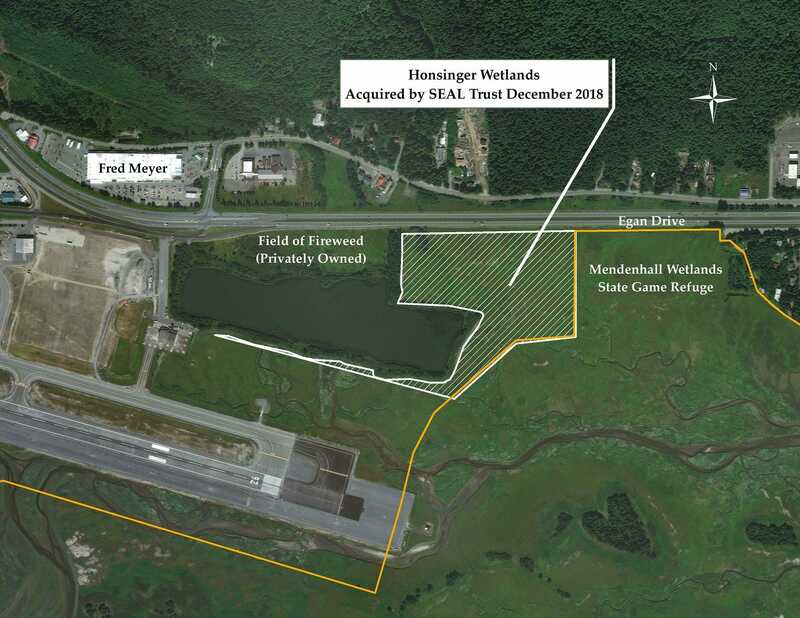 The conservation of the Honsinger Wetlands is a big win for the Mendenhall Wetland State Game Refuge. Since the Honsinger Wetlands share a border with the Refuge, protection of this parcel will effectively expand the area protected by the Refuge, as well as help maintain the integrity of important wetland habitat, all the while preserving Juneau’s iconic view looking down Gastineau Channel to the Juneau-Douglas Bridge. The Mendenhall Wetlands is a central feature in the magnificent landscape of Juneau. It is the second largest tidal marsh in Southeast Alaska, and is nationally recognized as an Important Bird Area for migratory and resident birds. It provides critically important habitat and food resources for fish and mammals. Its broad expanse contrasts and highlights the surrounding mountains. Throughout the year, Juneau residents are drawn to this open space to walk their dogs, bird-watch, hunt waterfowl, fish, and just take in the views. We are pleased to be able to contribute to the conservation of this locally treasured area. Read the Juneau Empire article on this property at this link.